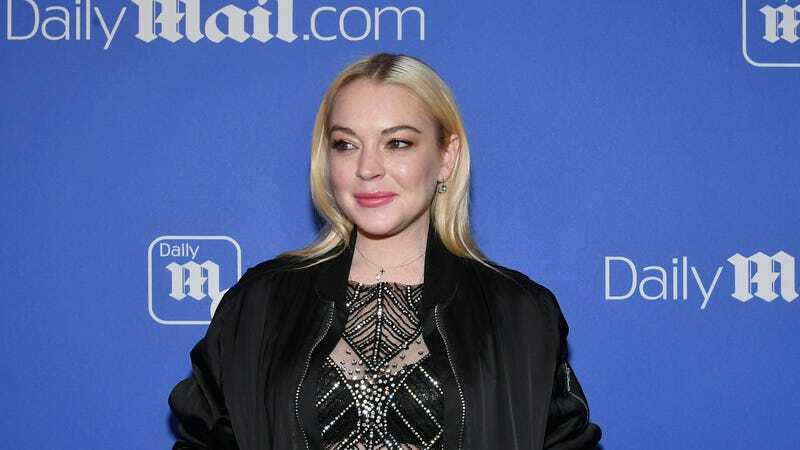 In 2014, Lindsay Lohan filed a lawsuit against Take-Two Interactive and Rockstar Games, claiming that a trashy celebrity character in Grand Theft Auto V named Lacey Jonas was clearly an “unequivocal” representation of her. Lohan’s suit went into detail about the character’s clothes, saying the character’s “hats, hair style, sunglasses, [and] jean shorts” were all reminiscent of clothing that the real Lohan is apparently famous for wearing. The Grand Theft Auto character was clearly a particularly obvious satire of countless celebrities and the whole celebrity culture thing, so it wasn’t really clear what Lohan was trying to accomplish by claiming it was clearly supposed to be her, but that doesn’t really matter now because the lawsuit has been dismissed. According to an Associated Press report, New York’s Court Of Appeals dismissed the lawsuit on the grounds that the “satirical representations of ‘a modern, beach-going’ young woman are not identifiable as Lohan.” Apparently, the court didn’t buy the argument that a video game person wearing the same jean shorts as Lindsay Lohan was enough to go off of. With this legal issue now in the rearview mirror (because Grand Theft Auto is a game about cars), Rockstar can go back to making an absolutely absurd amount of money off of a video game that’s now five years old.